Home » How to Cast 4K Video to 4K TV via Chromecast with Best Quality? With Chrome cast, you can easily cast content from your phone, tablet or Chrome browser to your big-screen HDTV. For 4K TV owners, you might have recorded some 4K video footage with your 4K camera/camcorders or downloaded 4K movies or TV shows from popular online streaming media sites like Amazon, Netflix, Hulu, M-Go, etc, it is possible for you to stream all those 4K video to 4K TV via Chromecast? The answer is yes, however, as Chromecast doesn't have the ability to stream 4K video, therefore, you will first need to compress 4K video to 1080p. What's more, make sure that that 4K video files are supported by both chromecast and your 4K TV. As for 4K TV supported file formats, you can check the user manual provided by the TV manufacturer. You can also have a reference at Samsung/Sony/Panasonic/LG 4K TV supported formats shared in this article. If you are going to stream some incompatible 4K video to 4K TV via Chromecast, you will need to perform a format transcoding process first. 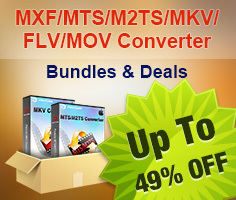 Here, you can easily fix it with our highly ranked 4K Video Converter - Pavtube Video Converter for Windows/Mac (best video converter for Mac review), which can convert all 4K video including H.265/HEVC, XAVC/XAVC S, Prores, MP4, MXF, etc to both 4K TV and Chromecast acceptable file formats such as H.264 High Profile format. 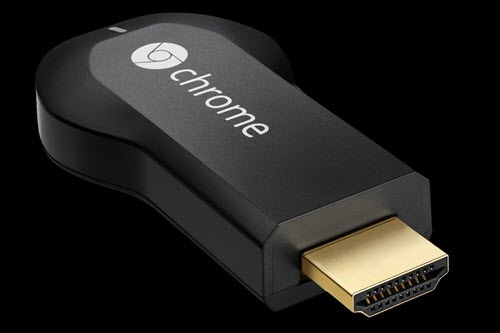 In addition, you can compress 4K to 1080p for better streaming with Chromecast. 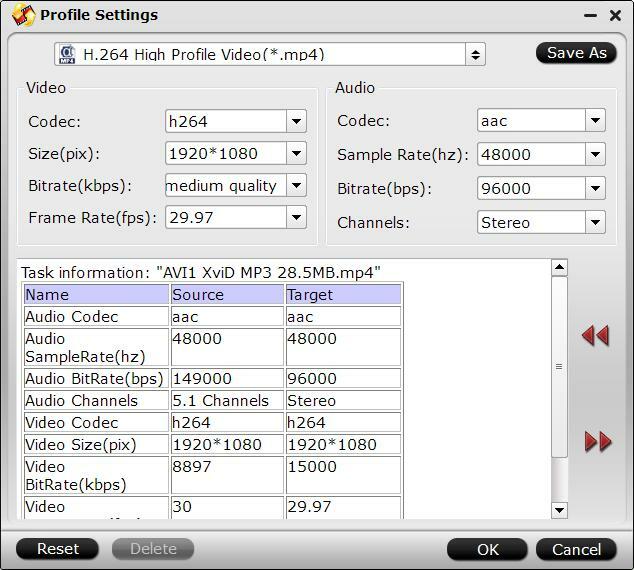 To assist you to get the best playing settings for 4K TV, the program also gives you the chance to tweak the output profile parameters such as video codec, bit rate, frame rate, resolution, audio codec, bit rate, sample rate, channels, etc. You can also use the "Crop" function to adjust output aspect ration to let it fit with your 4K TV display screen. How to Convert 4K Video for Streaming to 4K TV via Chromecast? Step 2: Output 4K TV and Chromecast supported formats. 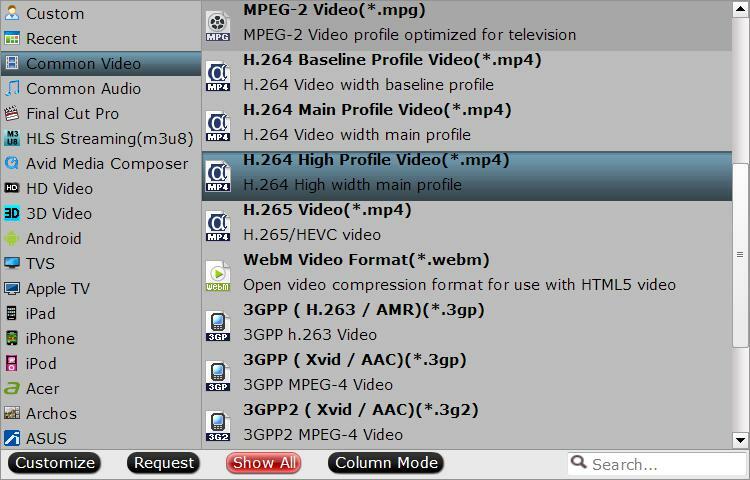 Click "Format" bar, from its drop-down options, choose both Chromecast and 4K TV supported formats from "Common VIdeo" > "H.264 High Profile Video(*.mp4)". "Hit "Settings" to open the "Profile Settings" window, here you can adjust the output video codec, resolution, bit rate, frame rate and audio codec, bit rate, sample rate and channels to let them fit with your 4K TV. 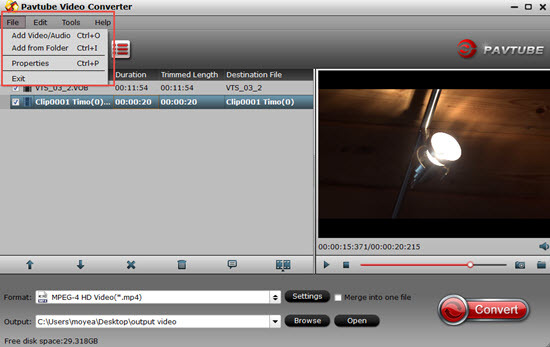 Start 4K video to 4K TV and Chromecast supported format conversion by hitting the right bottom convert button.After the conversion, click "Open output folder" to quick locate the converted video. How to cast video to 4K TV via Chromecast? 1. Connect chromecast with your computer. 2. Use chrome browser to stream converted video to Chromecast. Just open the Chrome browser on your computer, install the Google Cast extensionfrom Chrome store. With this extension installed, you will be able to stream video to Chromecast with ease.